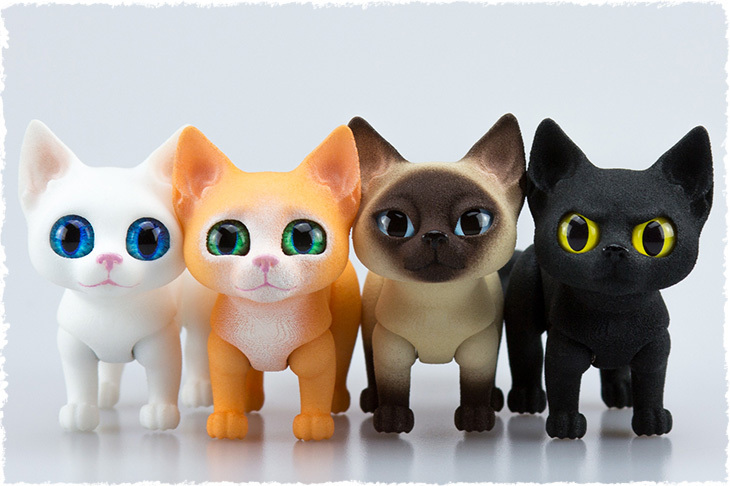 There are 4 different characters of magnet-jointed dolls kittens in the collection. They are boys Dexter and Shadow and also girls — Zana and Kiki. 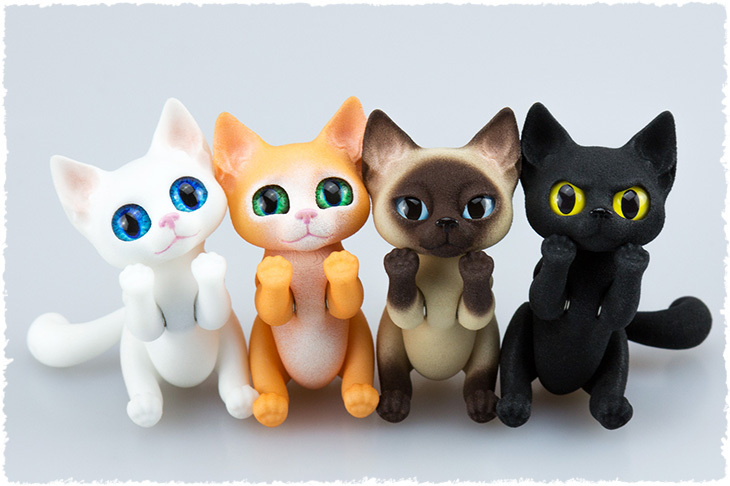 The kitties have cartoon design and simple but poseable construction. The doll consists of 8 parts and 12 magnets. The parts are printed with an industrial high-qualited 3D printer and made of sturdy and unbreakable plastic of Polyamide. The dolls are 4 cm tall (at top of the head). Each kitten comes with 2 heads (type of heads depends on a character of the kitty). The heads are removable thanks to magnet system that was developed by us for BJD dolls in 2014. 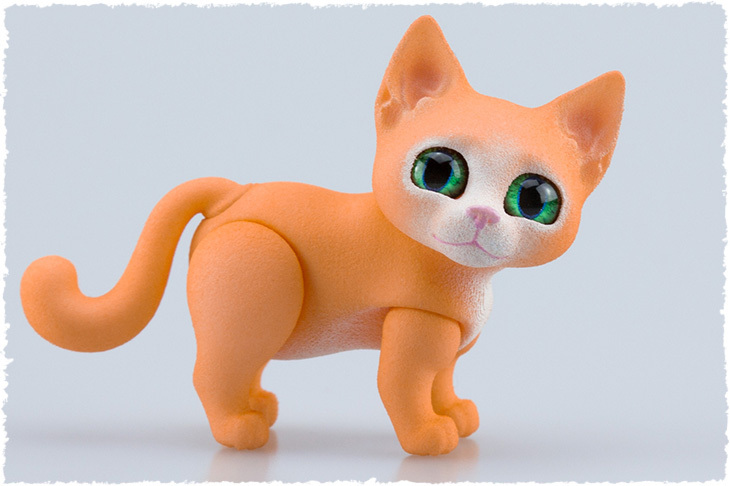 The kitten’s eyes are removable too. Its diameter is 8 mm. They made of plastic and they are waterproof. The eyes are attached without any glue just thanks to tight fit. The eyes are made by Belarusian company of Live Eyes. As he is the elder (just for few minutes) he is the leader of the gang. The kitty is white and he has dark blue eyes. He’s responsible, considerate, kind and helpful, but sometimes his mood changes and he becomes cheerful and too trusting. In these cases Shadow and Zana try to be with Dexter and protect him from committing errors. His soft spot is the incredible love for fresh fat sour cream. The kitten is the whole black and he has yellow eyes. So that is why he was named Shadow. He is hot-tempered and everything of unknown makes him suspicious of. Also he gets on well with little mice. You mustn’t hurt creatures that are weaker and smaller than you — so Shadow thinks. She is a beige, blue-eyed kitty with brown gradients (airbrushing) on her muzzle, ears, paws and tail. Zana is very smart and moody. Kiki is the youngest sister. She is ginger with white spots (airbrushing) on her muzzle, neck and belly. She is very sensual and touchy so it’s very easy to hurt and offend her. Also she loves sniffing flowers especially lilacs. Store the doll in a place protected from dust and sun. Make sure that your hands are washed each time when you touch your doll. Try do not scratch surface of dolls. 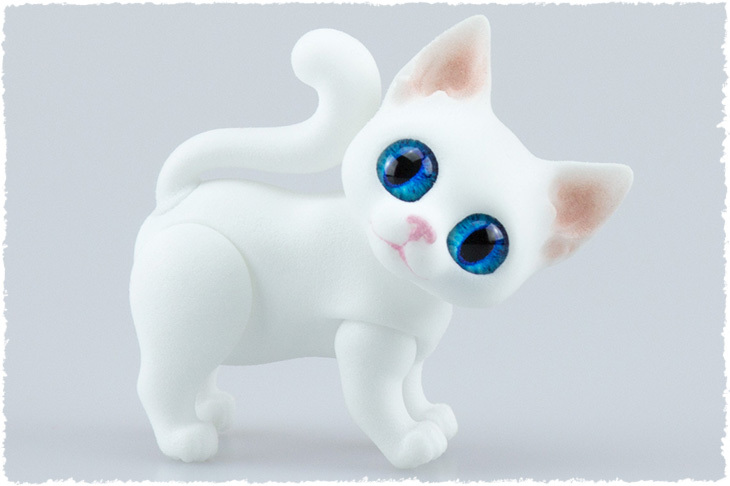 Dexter the kitten isn’t painted, white color is original color of Polyamide. But Dexter’s surface is sanded, thanks to it dirty surface can be easily washed in warm water with soft or medium toothbrush and dishwashing detergent. Then you need to wipe magnets with paper napkin and let dry it naturally for 12 hours. If painted parts of dolls are dirty first try to clean it with a dry soft toothbrush. If it doesn’t work and if these parts have solid color so you can easily wash it like Dexter’s sanded parts. But if you have dirt on the parts with airbrushing or heads, then you need carefully wash it and try to wash only dirty areas. Although dolls were covered with protective varnish but there might be lost contrast and saturation of color in the washed areas. If you often change doll’s eyes, one day eyes can have been bad attached. In this case you need to use glue pads (for example glue pads by UHU) to help the eyes to be attached. Glue pads don’t leave fat and dirty stains. And try to carefully handle the dolls. It’s always good, isn’t it? If you have any questions about doll care, feel free ask them us. We are always glad to help you. There are 3 available sets for each doll. They are Parts, Assembled and Full. Each doll comes with 2 heads and a pair of eyes (according to its character). Color is depends on its character too (for example Dexter is white, Shadow is black). But we allow customization of the dolls for additional cost. If you would like a doll to be painted in solid color (like black, grey, brown etc.) it costs extra $10. 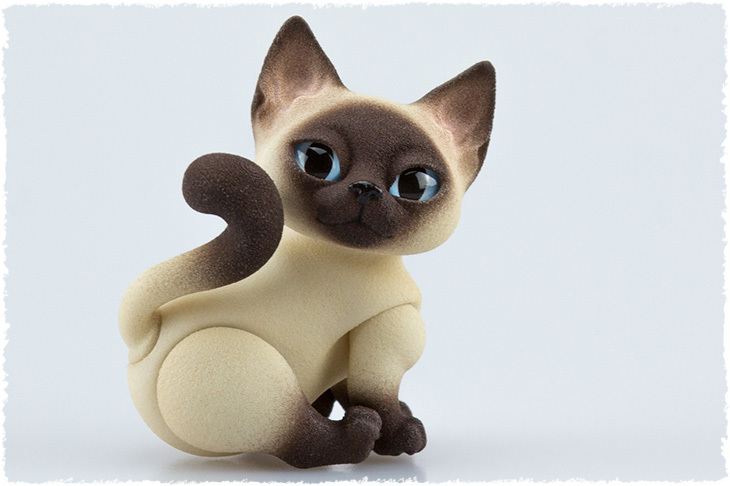 If you would like to get a painted doll with gradients (like Zana’s brown gradients), and this color pattern is in our pattern table for BJD kittens, in this case it costs extra $20. And if you would like something else, just get touch with us to discuss your wishes. Pay attention please that it isn’t allowed to use noomises for magnetic dolls. 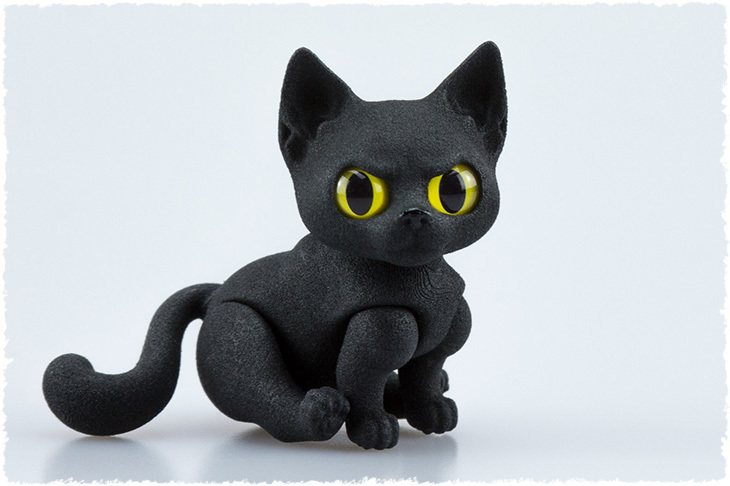 But noomises can be counted to your account if you are an owner of our BJD pets (if you before made orders from us on the website, Etsy or at any doll exhibition we took part). It takes about 2 months to make a doll. 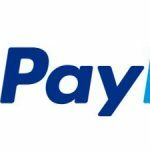 We accept payments only via PayPal (if you like to pay with a credit or debit card, please place an order on Etsy. It’s possible to do that there). Alos it’s possible to pay in euros, just get in touch with us and we’ll recalculate the price to euros. There is a layaway plan for Full set. The first payment is 50% and before shipping you will pay the rest 50% + shipping. We offer 2 international shipping methods, they are Regular shipping by Russian Post and EMS. If you choose all kittens and the set of "Full", you will get 10% off for all the kitties.